Those of you using Virtuous Automation likely heard in training all about how Automation is Contact-centric. That's right! 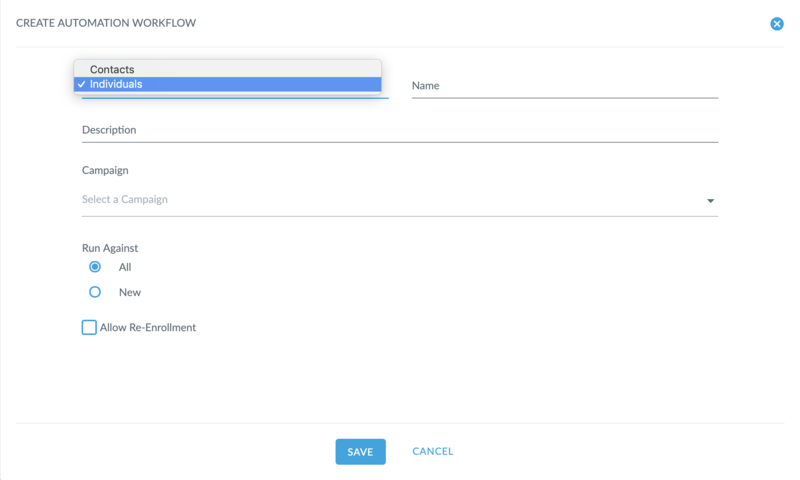 Now, when you create a new workflow, you'll see the option to target Contacts OR Individuals. Keep in mind, this is at the workflow level, so you can't target Contacts in Step 1 and Individuals in Step 3 of the same workflow -- no crossing the streams. Targeting Individuals in a workflow is one thing, but now, users will also have the ability to query on the actions email recipients take -- whether someone opens an email, clicks on an email, which link they click, unsubscribes, you name it. Taken separately, these first two new additions are already pretty cool. 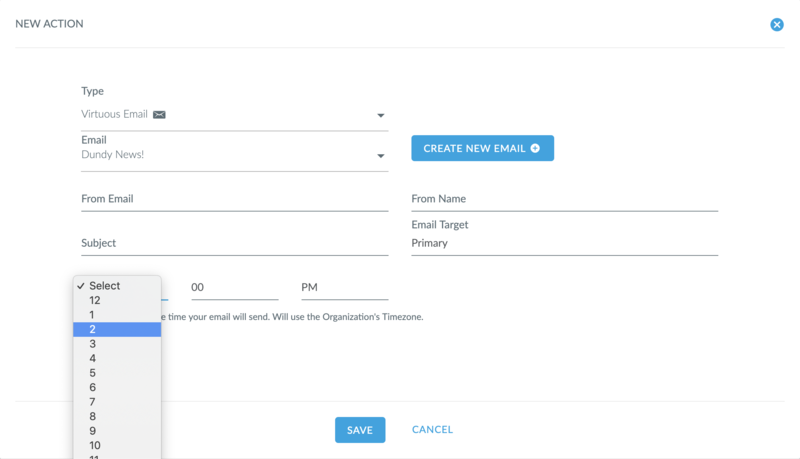 But with their powers combined, you can now target specific Individuals with workflow actions based on recipient's email actions. So, send a follow up to recipients who read your email but didn't click. Send a separate followup to those who clicked on your donation url, but never gave. With Sent Email queries and Individual-level automation, the ability to personalize donor followup will be stronger than ever. And that's not all you'll see in Virtuous Marketing! Now, when adding an email action to a workflow, you'll see the option to specify the time of day when you'd like the email sent. If you run a workflow after the specified time, then emails will be held and sent on the following day. 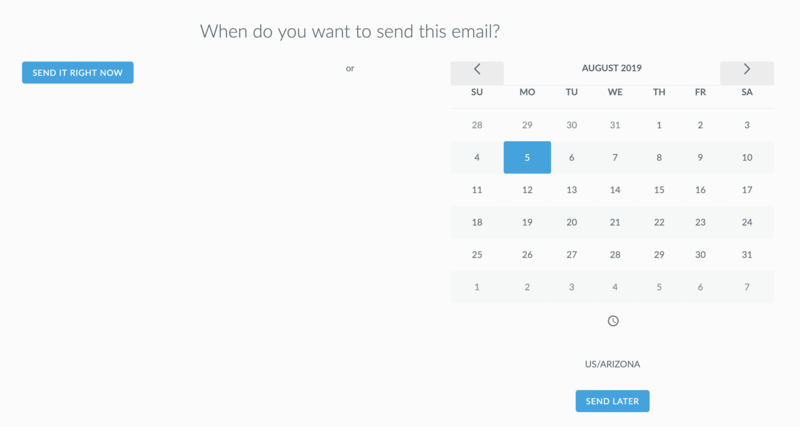 And, not to be outdone, mass emails also have a new scheduler that eliminates the previous 3-day limitation. Mass emails can now be scheduled to send up to one year in advance. And speaking of email (do we detect a theme here? ), we've heard from a number of clients about confusion with saving email changes and publishing changes. And we've heard you! So now, users working in the email editor will see an autosave notification if they have not saved changes in the last 10 minutes. We strongly suggest allowing the autosave to complete, so work isn't lost because of an internet connectivity hiccup or something else, but users can decide to cancel the save, if needed. In addition, users will see a prompt if a saved email has unpublished changes, both on the email edit screen and on the Workflow edit screen as well. The best lead forms reduce friction. So now, you can drive visitors on your website to sign up for a specific email list without having to ask them which list they want to join. 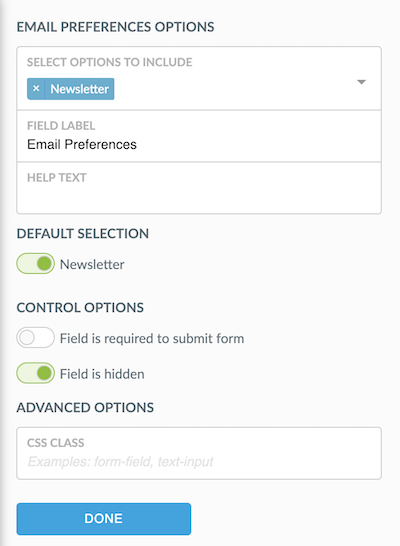 Just link them to a lead form, and you can select a default email list selection and even hide the field altogether, making it that much easier for someone to sign up. 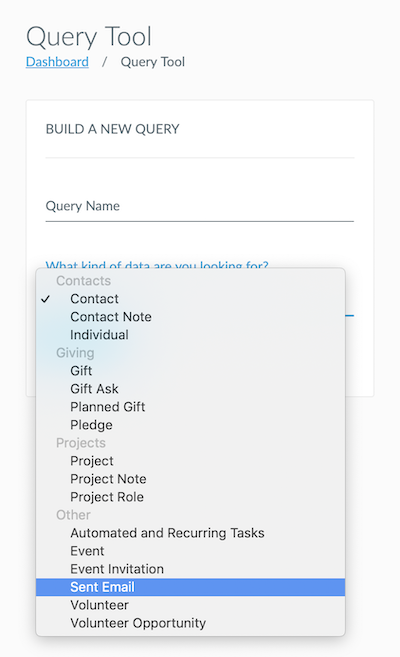 Ever wanted to include an Individual custom field in a lead form? Well, now you can! The mail receipt editor will now allow for resizing and alignment of images, which will be a relief to many. Some users reported an issue with one of the scroll bars disappearing in the Gift & Contact Import tool. Which is, frankly, no good. So we fixed that. Admins, we've added a new permission setting for Media Outlets. Now, you can control who has access to create and edit them. If you've ever deleted a tag or Organization Group being used in an active workflow, you know just what a headache that can be. Now, you'll see a warning when trying to delete these items. Hooray! The option to add a new address or add as primary will now be available in a Contact import, just like a Gift import..
Users without Contact edit permissions will now be able to see an Individual's gender, because it's only fair. We've added two new Channels that can be applied to Campaign Communications. Now, you can select either "Peer-to-peer" or "Phone" when creating a new Communication. If you are connecting Virtuous data to an external system, you may be relying on the Reference Source and Reference ID fields. Now, you can import these values from a Contact Import as well as a Gift Import. We squashed a bug that prevented volunteer data from loading on Contact records. We've applied a fix so that renaming a saved query will not break other nested queries that use the renamed query. That seems confusing, but...well, if it's ever happened to you, you'll understand. We wiped out a bug that prevented users from previewing or viewing embedded forms in certain cases, by eliminating those certain cases.